This special vintage pen is a Sheaffer 1980 Targa #1003 cartridge/converter-fill in Black Matte, including the cap top (later versions had a gold-plated cap-top). 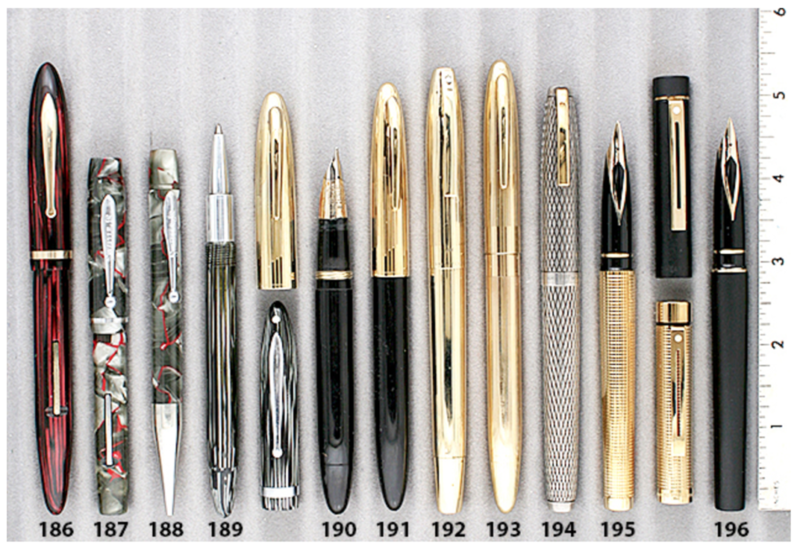 The trim is gold-plated, and the pen features an inlaid 14K nib (medium). New-old-stock. A little wear to the finish where the cap is posted onto the barrel, otherwise near mint in box with papers and cartridges. Converter included. This entry was posted in Vintage Pens and tagged Catalog, Catalogs, Extraordinary Pens, Fountain Pens, Go Pens, GoPens, Nibs, Sheaffer, Vintage Fountain Pen, Vintage Fountain Pens, Vintage Pen, Vintage Pens. Bookmark the permalink. Follow any comments here with the RSS feed for this post. Post a comment or leave a trackback: Trackback URL.